A family run business specialising in fruit and vegetables! 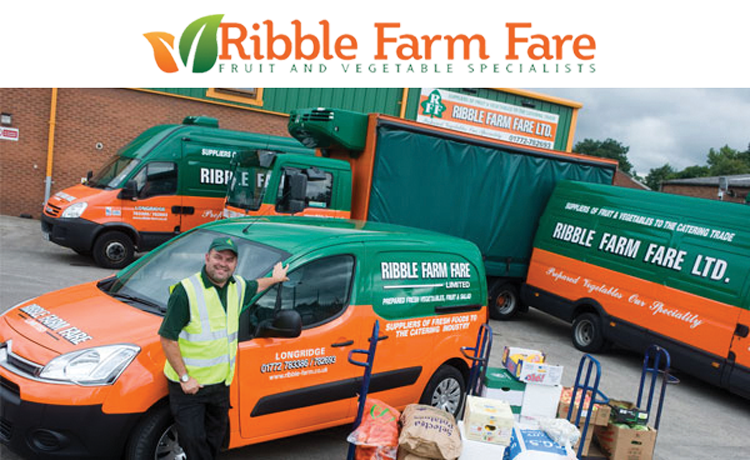 Ribble Farm Fare, based in Longridge, Lancashire is a family run business specialising in fruit and vegetables. Brothers, Roger and Richard Coulston successfully run the business, along with their fully committed management team and 250 strong workforce. Together they have excelled into taking Ribble Farm Fare into the successful thriving business it is today. Here at Ribble Farm Fare, we pride ourselves in working with a customer’s individual needs, should it be bespoke products, invoicing or delivering times. Our hands-on, flexible approach has played a large part in our success today. 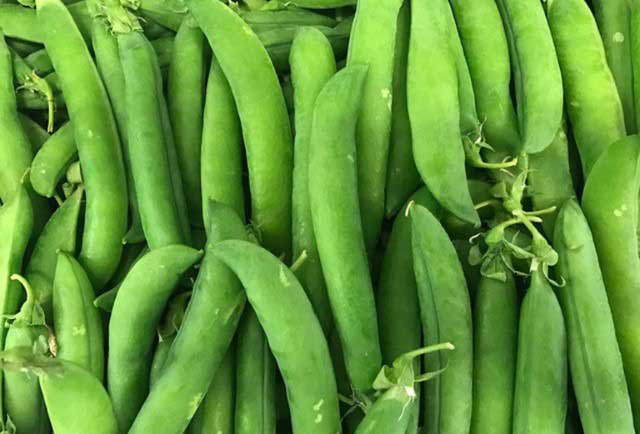 We prepare a wide range of vegetables within a temperature-controlled environment ensuring the highest standard of freshly prepared vegetables at competitive prices. Products produced in house include; fondant potatoes, chips, chateau potatoes, diced mixed peppers, stir-fry mix, sliced onions, sliced cucumber and many others. The majority of our products are sourced locally: potatoes, brassicas and all root vegetables are grown on farms covering the Lancashire and Cheshire areas. Milk and local cheeses are produced from cows grazing the fields and fells around the Longridge area. Eggs are supplied either Lion stamped or free range and are produced from locally farmed chickens. All yoghurts are manufactured from local farms surrounding our business. We have an abundance of local farmers who supply us, but during inclement weather or when the season changes we source produce from a little further afield. 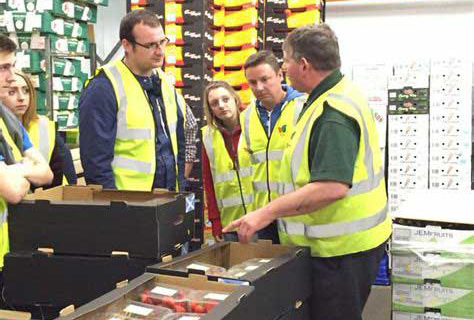 This month at Ribble Farm Fare, we had a visit from two members of the E-Foods team. With local produce at the heart of our company we decided to take them a tour of some of the local farms we get our produce from.Our first stop was at Rimmer’s Potatoes in Tarleton, Lancashire. This is a small family run farm which specialises in the growing of fine quality potatoes. We then went and visit Baxter’s High Brow Produce in Banks, Southport. The farm is run by David Baxter, his wife and son. 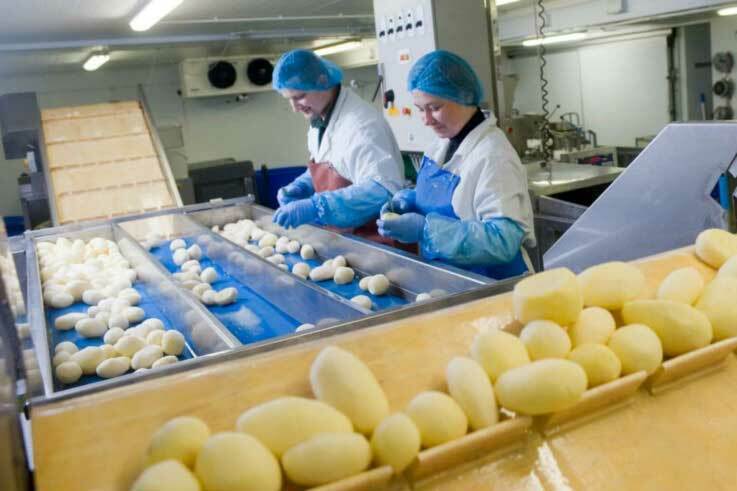 Who are hard at work seven days a week, all year round to ensure the best produce is available. We then took a trip to Ormskirk to visit Smithy Mushrooms. They have been supplying exotic mushrooms for over twenty years and have built themselves a reputation for reliability and consistency. Our fourth and final stop was just down the road to Molyneux Kale Company. Here Chris Molyneux and his team produce a range of specialist kales and brassicas. In fact, Molyneux are the only year-round producers of kale in the UK. 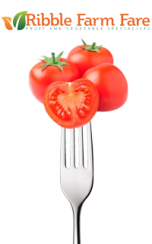 Brilliantly effective, best value food purchasing solutions & ultra-efficient supply chain management systems.